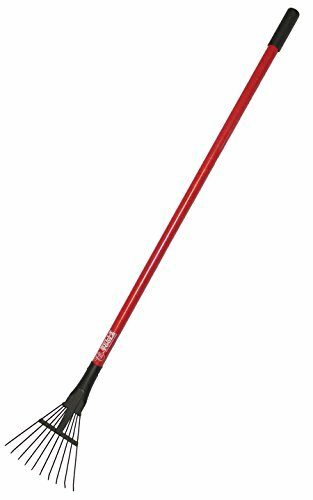 Bully Tools 92317 8" Shrub Rake. Fiberglass Handle. The Bully Tools Ash Shrub Rake has a compact design perfect for clearing debris from small areas, with the reach of a long handle tool. The spring steel tines resist bending and the wood handle is as strong as our fiberglass models without the give. Bully Tools 92379 16" Bow Rake. 66". Fiberglass Handle. Razorback Asphalt/Tar Rake Forged Head 60 "